The Bharathiyar Illam was the residence of one of the great freedom fighter and cherished poets, Subramanya Bharathi who made his mark through his evergreen poems which contained a soul-stirring depiction of the various aspects of life. Subramanya Bharathi was born in 1882 in Ettyapuram, situated at a distance of approximately 200 kilometers from the city of Chennai. He was so adept at what he did that he was only seven when he wrote his first poem. 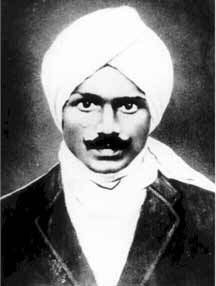 It so happened that at the Bharathiyar Illam of Chennai, he spent the later half of his eventful life. This house is located at a place at Triplicane, Chennai. The Bharathiyar Illam in Chennai was later claimed and refurbished by the Tamil Nadu Government in 1993 and opened to spectators later that year on the second day in the month of October. Photographs featuring the versatile poet Subramanya Bharathi himself with his family and friends displays many priceless moments of his life. 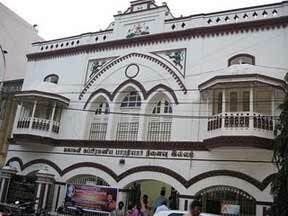 Original manuscripts belonging to the poet himself are displayed with great pomp at the Bharathiyar Illam of Chennai. Letters from the poet addressed to his friend named Nellaiappar. The chief attention magnet at Bharathiyar Illam in Chennai is the letter from the "Father of the Nation", Mahatma Gandhi directed towards the great poet on the auspicious occasion of the inauguration of the Bharatiyar Mani Mandapam.